Redistribution details: Western boundary moves west from Portrush Road to Hackney road, taking in suburbs from Joslin through Norwood to Dulwich from Adelaide. 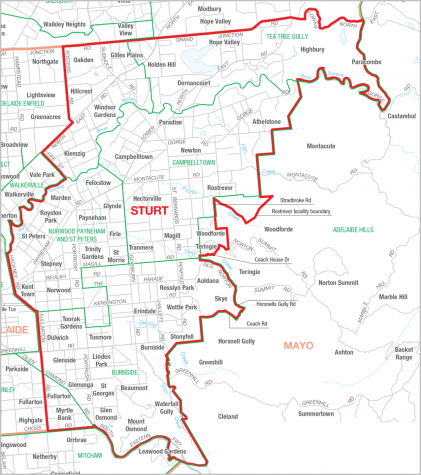 Adelaide moves west, losing a 54% Liberal voting area east of the parklands to Sturt. 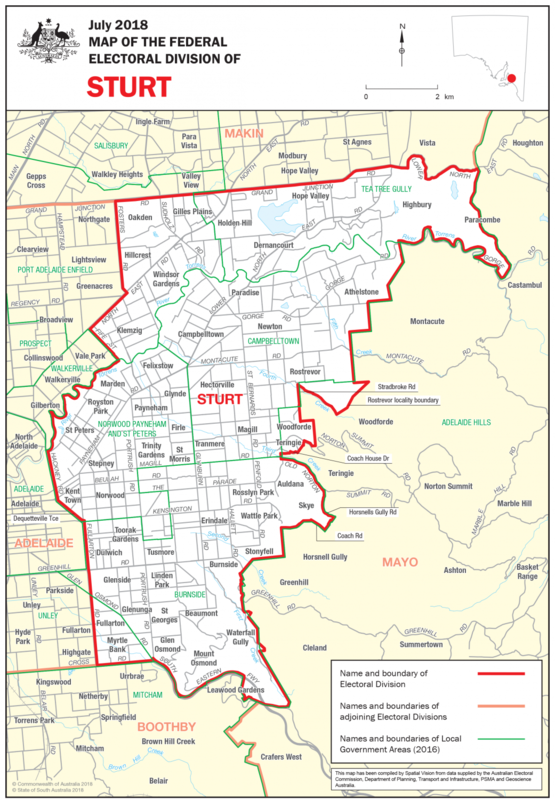 Key Comments: The Division of Sturt has been held by a Liberal candidate since 1972. In its history Labor has only represented the seat very briefly.